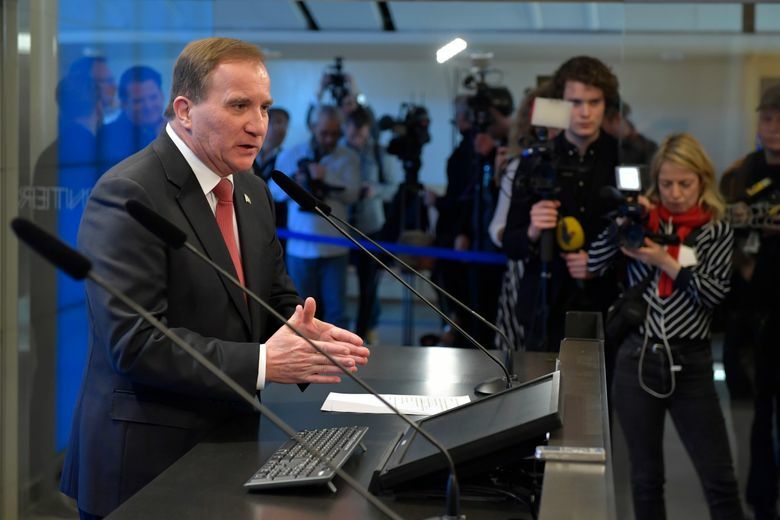 COPENHAGEN, Denmark (AP) — Swedish lawmakers on Friday approved a center-left minority government led by the current caretaker prime minister, Stefan Lofven, ending a four-month political deadlock. Swedish politicians have been trying for months to form a government without the Sweden Democrats party, which has neo-Nazi roots. Parties have refused to cooperate with Sweden’s third-largest party, which made great strides in the Sept. 9 national election. 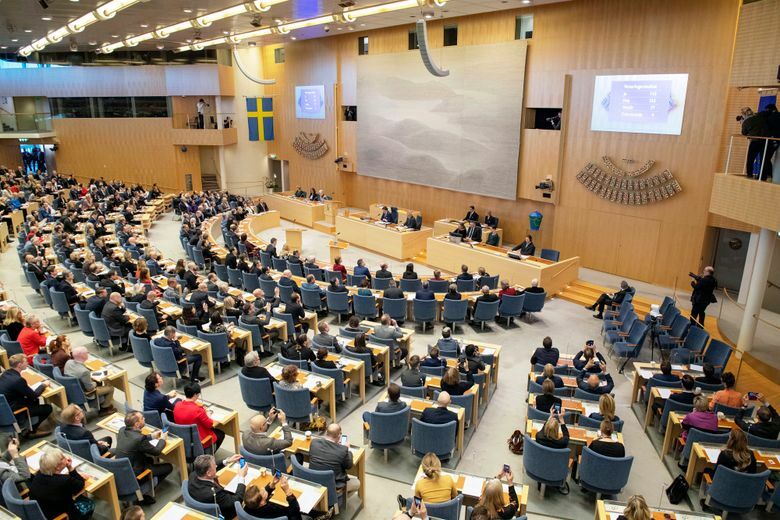 The vote Friday in the Riksdagen, or parliament, was 153-115 in favor of Lofven, with 77 abstentions. His own Social Democrats and the Greens backed him and the center-right bloc voted against, while three smaller parties abstained. In Sweden, a prime minister can govern as long as there is no majority against him or her. 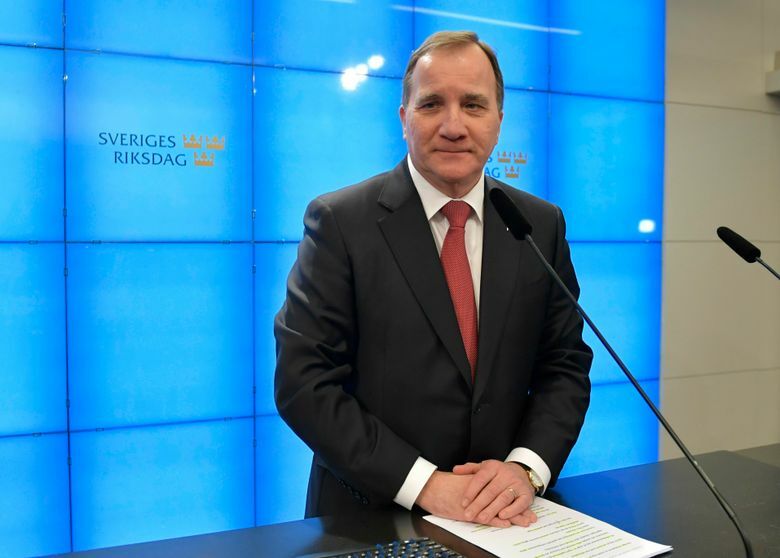 Lofven, who heads Sweden’s largest party, the Social Democrats, but has no majority, will present his government and start his second term as prime minister on Monday. Jan Bjorklund of the Liberals, whose party supported Lofven by abstaining, noted “how racist and populist parties have strengthened their positions across the world.” He cited U.S. President Donald Trump, France’s National Rally led by Marine le Pen and Hungary’s nationalist prime minister, Viktor Orban, as examples. “We have chosen another path,” he told Riksdagen. Sweden Democrats leader Jimmie Akesson, who had hoped for more political influence, repeatedly used the word “absurd” to describe the coalition talks. “The Sweden Democrats will be a dominating force in a new, strong center-right opposition,” he promised. Sweden’s September election produced a hung parliament with the left-leaning side and the center-right bloc securing about 40 percent of the vote each, leaving neither with a majority and paving the way for months of complex coalition talks. 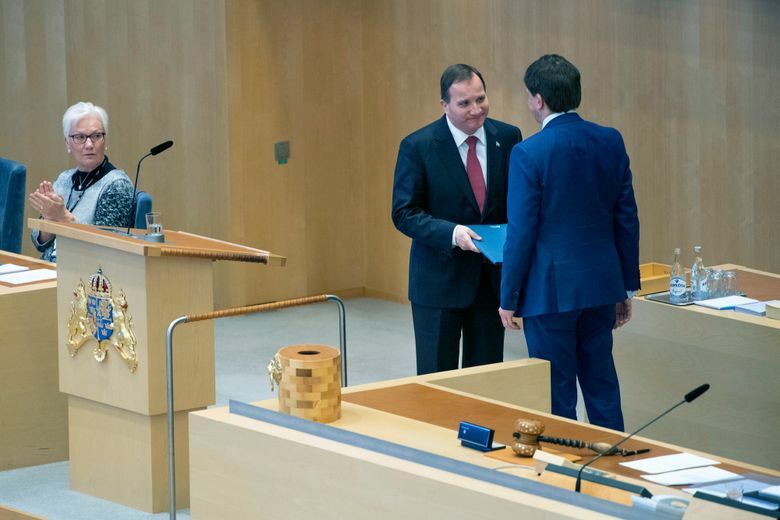 To get support from two center-right parties, Lofven had to compromise over labor laws, causing irritation from his party’s union backers and the Left Party.